Wonderful mix of meadow, tillable, pasture lands and woods. Possible for potential organic grazing or farmland, Timber value unknown. Land does qualify for agricultural exemption on taxes. 15 acres of woodlands, 12 acres tillable ground, 49 acres pasture/brushland habitat. Big game, geese and great hunting! Caryl E Adams Primary School Pre-School, Elementary School / Public 3 3.97 mi. Tioughnioga Riverside Academy Elementary School, Middle School / Public 6 3.55 mi. Whitney Point Senior High School High School / Public 6 3.96 mi. Chenango Forks Elementary School * Pre-School, Elementary School / Public 5 8.03 mi. Greene Middle School * Middle School / Public 6 7.17 mi. Greene High School * High School / Public 6 7.17 mi. 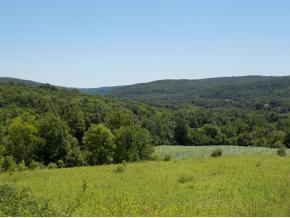 7760 NY Rt 79, Whitney Point, NY 13862 lots and land was sold for $58,000.